Mt McKinnon is in Cache County, barely. It’s on the line with Rich COunty along the scenic byway that takes you from Woodruff to Huntsville. It’s a 9,081 foot high mountain that you can drive to the top of. Close to the Monte Cristo Campground. Pickelville was a small town located near the western shore of Bear Lake in Rich County. It is now part of Garden City. The town of Pickelville was originally founded in 1879, about 3 miles south of Garden City. Incorporated in 1935, the town was named for Charles C. Pickel, who is said to have been either an engineer who supervised the town’s culinary water project, or a federal government official who helped secure funding for the project from the Public Works Administration. To further expand the water system, Pickelville merged with Garden City in 1979. Since 1916, the Pickelville area has been home to the Ideal Beach Amusement Company. The Pickleville Playhouse, a community musical theater, has been in business since 1977, performing a melodrama and a Broadway-style show every summer. The Bridgerland travel region is in the northeast corner of Utah which borders the states of Idaho and Wyoming. It includes the counties of Cache and Rich, as well as the Cache Valley, Bear Lake and much of the Wasatch-Cache National Forest. 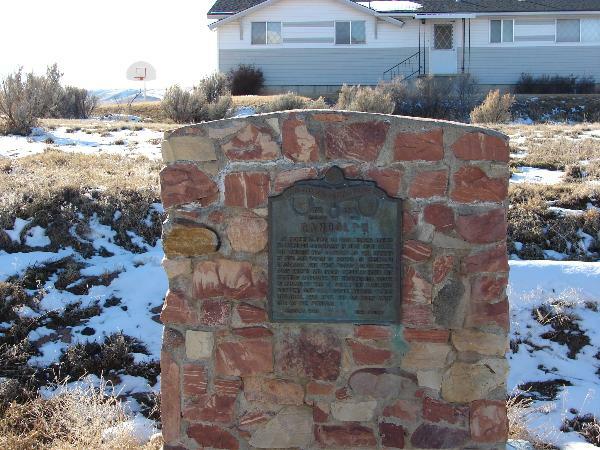 Bridgerland gets its name from Jim Bridger, a famous mountain-man. Randolph lies in the shadow of the Crawford Mountains against the western foothills of the Upper Bear River between two creeks, Big Creek on the south and Little Creek on the north. In answer to a call from the general authorities of The Church of Jesus Christ of Latter-day Saints, Randolph H. Stewart and others arrived in the Bear River Valley March, 1870. One week later, Apostle Charles C. Rich and Company came. They surveyed the town and named it Randolph, in honor of the first Bishop, Randolph H. Stewart. Many others soon followed and by the spring of 1871 Randolph was a thriving town, having established a post office, store, blacksmith shop and sawmill. These early settlers were men and women with courage and fortitude ready to brave the severe climate and hardships. Progression has continued with the coming of electricity, the water system, modern communications and transportation. From the one-room schoolhouse, education continues with the latest technology and modern facilities. The cattle and sheep industries have sustained many families throughout the years. The stately tabernacle, dedicated July 26, 1914, depicts the faith of the early settlers. This devotion is evident today as men and women serve missions throughout the world. As the need to defend our freedom has arisen. many have responded to the call of our country … some having made the supreme sacrifice. We salute those who have contributed to the development of this community. They are men and women of foresight and dedication … all desiring to establish an abundant life for now as well as for future generations!